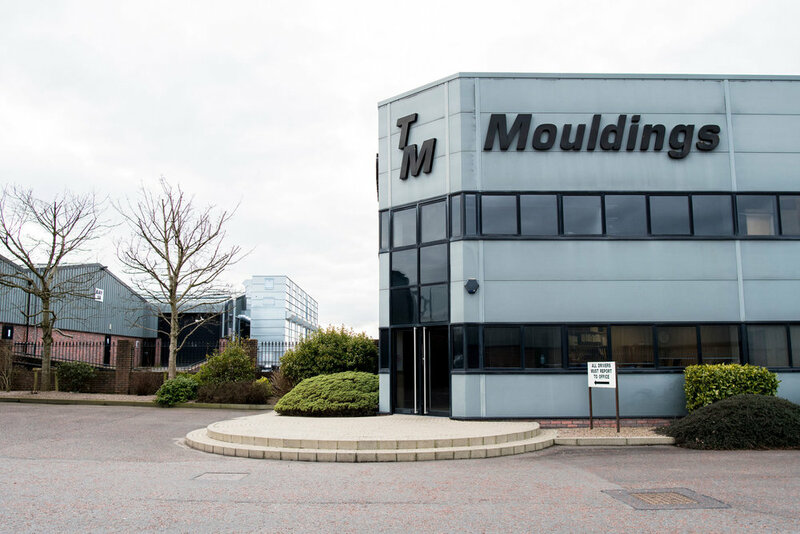 Forty years in the UK-based furniture industry has made Trade Mouldings a well-known name. In their modern factory in Northern Ireland, the family business produces kitchen components using various materials. After working with a local dust extraction partner for many years, the firm opted for Modesta machinery in 2013. Trade Mouldings made some significant investments and changes to its business model over time. As current director Austin Mac Oscar notes: “In today’s market you have to be able to supply a complete package. 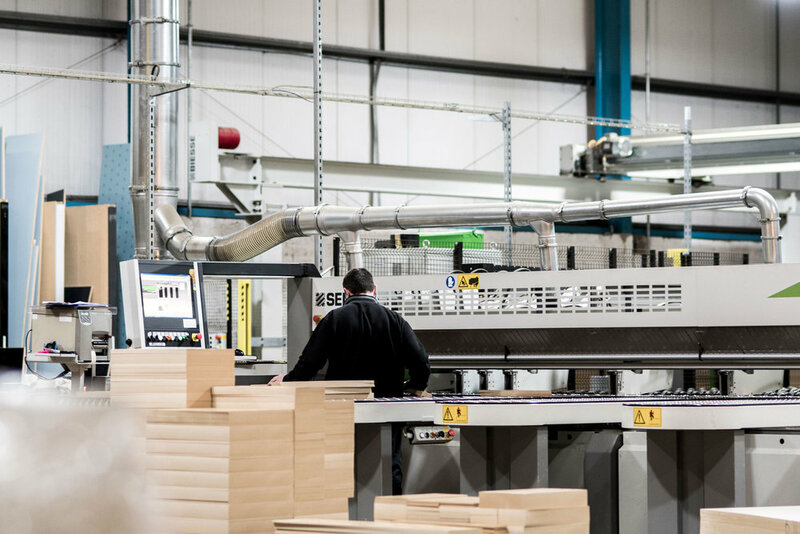 That’s why we’ve diversified greatly over the years.” These days they produce mostly for the cabinet furniture market, supplying vinyl doors, MDF wrapped mouldings, laser-edged doors, 5-piece doors, lacquered slab doors, handle-less doors, painted timber doors and more. They have a 200,000 square foot production and distribution site in Cookstown in Northern Ireland, and two extra distribution centres in Dublin and Manchester. Always following the latest modern technology production methods, Trade Mouldings needed a new machine in 2013 and were introduced to Modesta by their CNC machine supplier. Recalls Austin: “We bought a circular saw from them and needed a dust extraction system to go with it. They recommended Modesta for that.” The decision wasn’t reached easily; they already had a good supplier of filters, well-known in the area. Modesta has delivered three large filters to the Trade Mouldings factory so far. The latest project included a complete system: the dust extraction, piping, filters and installation. According to Austin, there have been no major issues in their collaboration so far; everything was always delivered as commissioned, and things are running smoothly. “Modesta’s filters gave us a cleaner and quieter environment to work in”. 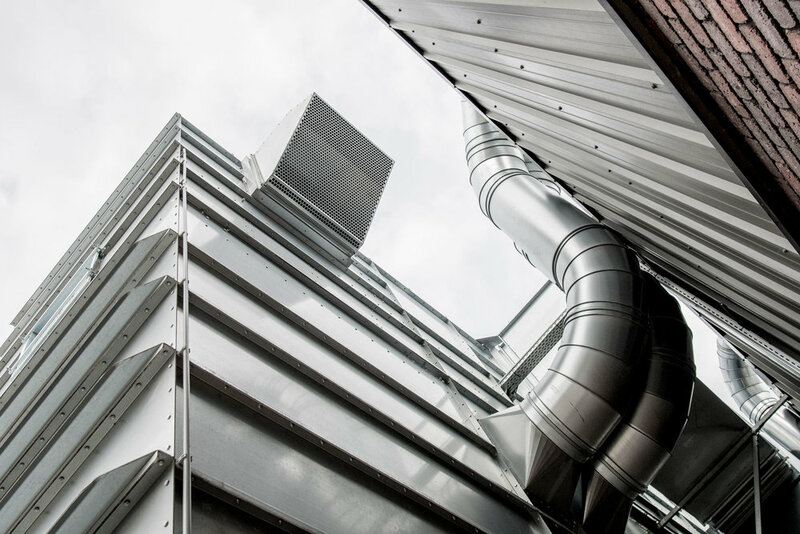 The latest addition to Trade Moulding’s collection of Modesta filters is currently being installed; they needed a complete system, including dust extraction, piping, filters and of course installation on-site. ‘It was a joint effort: there was an existing system in place, but once we had seen the improvement the initial installation had made, we decided to upgrade the remaining systems’ explained director Austin Mac Oscar.